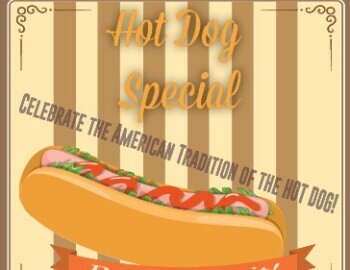 Let's all Celebrate the American Tradition of the HOT DOG! Join Highland Woods Saturday, July 23rd in the magnificent glory of the Hot Dog! We will be offering $2.00 Hot Dogs All Day Long! !